Published on LinkedIn Influencers on June 6, 2014. Everyone has heard the old adage that it’s not what you know, it’s who you know. I happen to think it is a combination of both, and that combination is indeed powerful. Networking is critical to getting ahead and building your career, but what is the best way to go about this vital component of your career and business development? How do you make the most of your network, and more importantly, how do you know if you even have the right network? 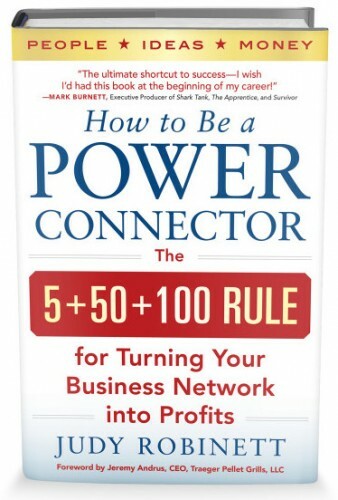 Enter Judy Robinett, known as the woman with the titanium digital Rolodex, whose book, How to Be a Power Connector, was recently released, and which endeavors to answer those questions and many more. Judy has over 30 years experience in the corporate world, and has previously served as the CEO of private and public companies, as well as management positions within Fortune 500 companies. She has also served on many advisory boards for venture capital firms, accelerators, and startups, and throughout all of these experiences, Judy has come to realize that “everything is connection.” Every idea needs people to make it a reality. However, as Judy made her way through the corporate world, she often found that traditional means of networking were often ineffective, and simply handing out business cards rarely led anywhere productive. It troubled Judy to know that there were people out there who had the knowledge, the intellect, and the ideas to potentially change the world, but because of their lack of connections, or more importantly, their fear of making them, these people would never have the chance to do so. However, if people could learn how to network strategically, the possibilities are endless. Dunbar’s number postulates that people are only able to maintain a maximum of 150 stable social relationships at one time, and this is a theory to which Judy subscribes and utilized in her book. She believes that it is possible to solve every difficult problem through networking, but only if you take the time to invest in these relationships and add value to them at every interaction. With only 150 slots available for these important relationships, Judy’s book outlines how to take a strategic approach to building up your network, and how to make sure that not only are you making the right connections, but that you are also nurturing and cultivating them properly, so that when you need them, your networks will work for you and not against you. How to Be a Power Connector is filled with tips, strategies, and advice on how to create the best network you can for your business, including how to overcome aversions to striking up conversations with strangers, knowing when and where to invest your time, and most importantly, how to increase your network’s value by becoming a facilitator of connections. 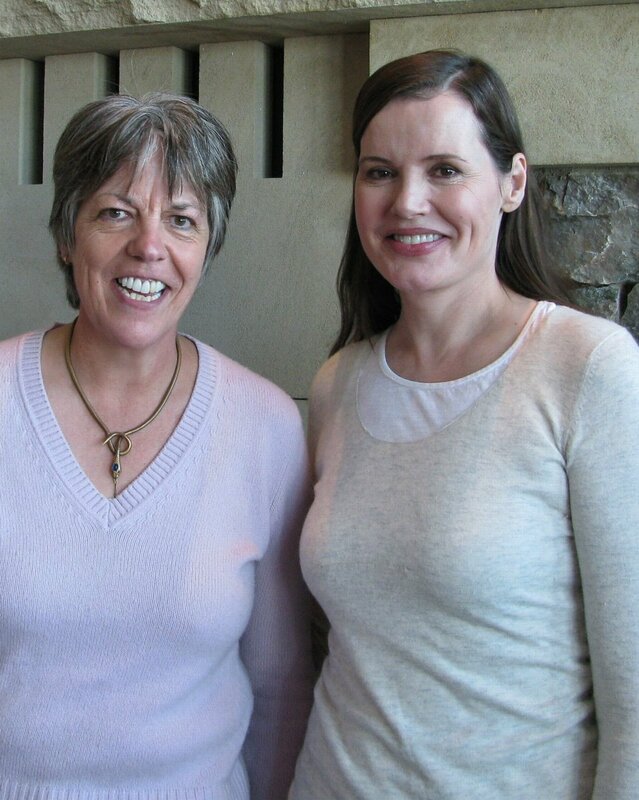 I met Judy in that very way, when she helped to facilitate many of the important connections I made with others upon my arrival in Park City, and she has been a wonderful friend ever since. Every single time I see Judy she is ready to make a connection for me to help advance my efforts. While her book is filled with great advice, I’ll leave you with Judy’s two golden questions for networking. At the end of any conversation with someone new, always be sure to ask them: 1) What other ideas do you have for me? and 2) Who else do you know I should talk to? According to Judy, those questions led her to President Obama, President Clinton, and Oprah. Imagine where they could take you. Next Post Executive Presence: Do You Need It? Do You Have It?